The Northwest Mahler Festival was founded in 1995 by three Seattle area musicians, Dan Weiss, Robin Miller, and David McBride, to provide the opportunity for local area musicians, including serious avocational musicians, professionals, and talented students, to experience the large-scale Romantic works not generally accessible to smaller local orchestras, and to bring this music to the public. This includes works for orchestra alone as well as for orchestra and chorus. Since 1995, the NWMF has held open reading sessions each June to explore this literature. Readings are open to all qualified musicians, and draw as many as a hundred participants from throughout the Seattle region and beyond. While family and friends are welcome to come and listen, the readings are not performances. Rather, each session is spent exploring a given piece of music for the musical growth and enjoyment of the participants. Readings to date have included the symphonies of Gustav Mahler as well as major works by a range of Romantic and other composers including R Strauss, Bruckner, Shostakovich, and others. A wider range of music including major works by Britten, Honegger, Nielsen, Stravinsky, Szymanowski, and others has also been explored. The readings have also included sessions devoted towards exploring new music for large orchestra by local area composers. In addition to allowing local area musicians to experience these works, the reading sessions provide a unique opportunity for local and regional area conductors. The NWMF has also been privileged to have attracted a number of nationally and internationally known conductors. A list of all reading sessions and conductors is provided in the past event section. Building on the success of the readings, the NWMF held its first public concert in July 1996. For that inaugural concert, Roupen Shakarian led the NWMF Orchestra in a performance of Mahler’s Symphony #1 in addition to works by Wagner and R. Strauss. This was followed by yearly performances each July covering a range of works not usually encountered in the Seattle area. Notable performances include Mahler’s 8th Symphony, (the Symphony of A Thousand) in July 2000 and also Messaien’s Turangulila in September 2007 both under the baton of Music Director Emeritus Geoffrey Simon. 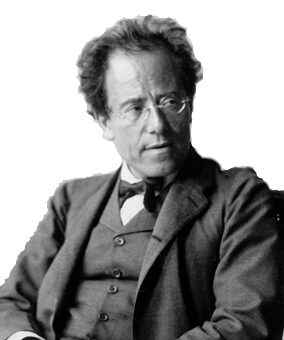 The Northwest Mahler Festival is free to all musicians and no fees are required for participation. We are a 501(c)(3) non-profit organization dependent on donations to help cover expenses, and hope that you will support the NWMF in its continuing mission. To provide an enjoyable and enriching musical experience for all participants.